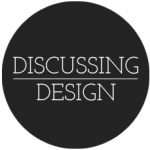 Setting the Foundation for Meaningful Critiques: Goals, Principles, Personas and Scenarios | Discussing Design - Paying attention to the details of design critique. In a recent post Aaron talked about the importance of intent in the success of critique. Without the right intent on both sides critiques can go nowhere. Or worse, they can hurt the design, the designer and the relationship between the designer and the critics. In UX design it’s common to say phrases like “I/You are not the user.” This can be hard for people to remember; clients and professionals with other areas of expertise, hell, sometimes even UX designers, forget it for a moment or two. By setting up solid personas and scenarios at the beginning of your project (hopefully based on research) you give yourself and your team a starting point to help guide your critique and analysis. It’s important to make sure your team understands and agrees with the scenarios and personas you’re project is addressing, so make sure to review them at some point in your process prior to starting critiques of your design. This way, when comments come up in a critique that feel like they’re based on a personal preference, or a usage outside the scenarios you’re designing for, you can refer back to your personas and scenarios and ask how the comment relates to them. Make sure your personas are about user’s behaviors, goals, and expectations. Don’t get hung up on demographics. I’m told that occasionally demographics matter. And I’m sure they could, but I haven’t yet encountered a project with personas where demographics weren’t just a stand in for implied behaviors. For example, giving a persona an age of 65+ to indicate they might have difficulty seeing, be slow moving, etc. And as Dana Chisnel likes to point out, assumptions based on demographics have a tendency to be misleading. Adam is a Design Director at Mad Pow, Dad, Husband, Illustrator, Speaker, and lover of good beer. You can follow adam on the twitters at @adamconnor. “Process independent.” Love it. Am stealing it. I’m fairly confident that you aren’t process-independent at all, in fact process is hugely meaningful to you. What I think you meant is that you’re methodology agnostic; you’ll use whatever steps it takes to get the job done effectively, so long as it’s rooted in the right goals and principles. Did I understand that correctly? Leave a Reply to Whitney Hess Click here to cancel reply.